John, I can tell how much you enjoyed this one. That is the best first paragraph of a review that I've read in a long time. 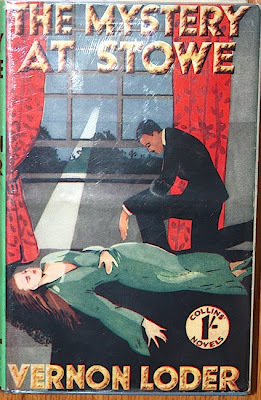 And...of course, you have now added another to my much-too-long-as-it-is list of books to be on the look-out for (difficult as they may be to find). Lovely, lovely review! Available through the special service, my friend. You know the drill. Thanks, John. I'll probably take you up on it. But not just yet. Too many books on the 2013 TBR stack (that I keep pushing aside for something newer, better, shinier)....Will let you know if I get ready for it. I've read this one! I've been a fan of this author for about a decade, but have never been able to quite complete the collection. Coincidentally, I was planning to review a Loder title this month. We'll have to coordinate! Christie did have fun with the darts idea in Death in the Clouds. Loder is really very good. I wonder why Barzun & Taylor give him such short shrift in Catalogue of Crime. Only Whose Hand? is reviewed and it gets faint praise. I think it's really clever with some ingenious ideas along the lines of what Rhode and Connington were doing. Barzun tended to dismiss writers who were not both great plotters and great stylists. Loder can tell a story, but he's no prosey wordsmith. All I've read so far have a lot to recommend them as mystery novels despite his more commercial level of writing. He was one of the regulars at Collins, as you know, until his premature death, and that's usually a sign of a worthwhile writer. 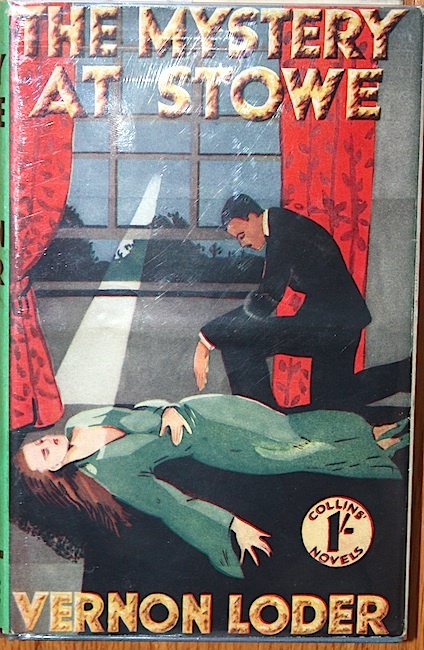 You really do find obscure mystery writers, don't you? Sounds very interesting, should I every run into one of the books. Thanks. Good to know it's finally out. I knew about it's impending release last winter. 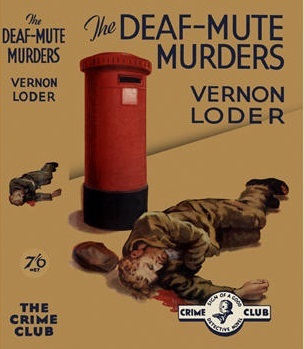 It's one of the many Harper Collins reissues of all those 1930s Detective Club reprints. This is one time I recommend people opt for the books rather than any digital version. This series of reissues are replicas of the original 1930s editions with duplicates of the full color DJs and the attractive decorated boards with an intricate logo stamped in gold on the front board. They even include the old adverts replicated in the back of the book.